The best part about one of the key ingredients in both of these easy snack ideas is that they are part of the Box Tops for Education program which helps schools earn money. Right now, Walmart is running a 5 for $5 promotion where you can earn $5 for schools just by buying 5 of the selected products. Plus, if you download the Box Tops for Education App, you can easily scan your receipt to earn the bonus box tops. 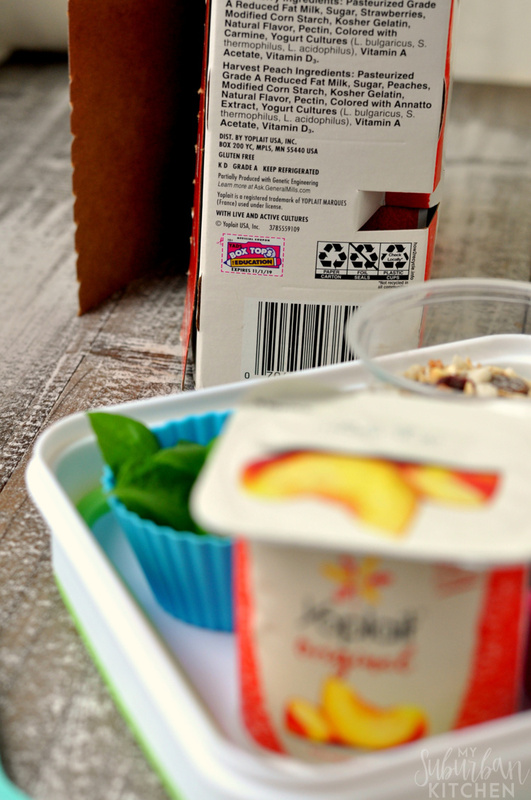 My kids love yogurt and Yoplait multi-packs are part of the current promotion to earn an additional 50 box tops using the Box Tops for Education app. I use the yogurt as the main piece of my snacks and add fun add-ins and items on the side for the kids. 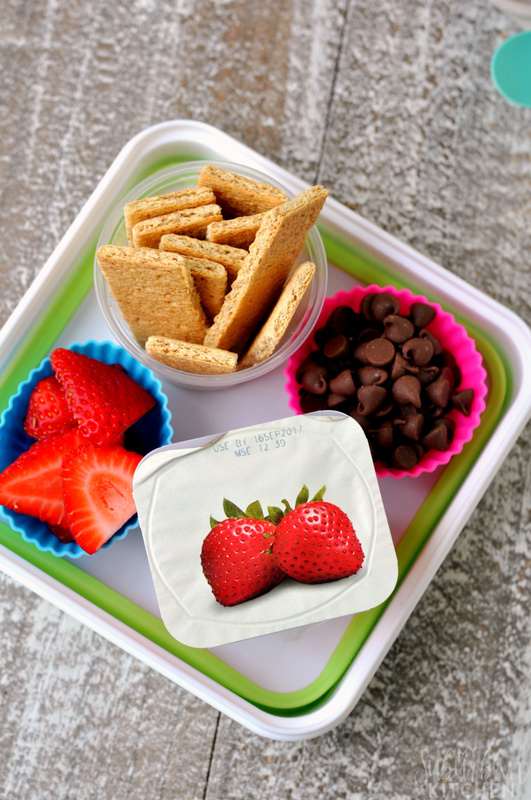 Option 1: A Little Something Sweet – Combine strawberry Yoplait yogurt with chocolate chips, graham crackers and sliced strawberries. 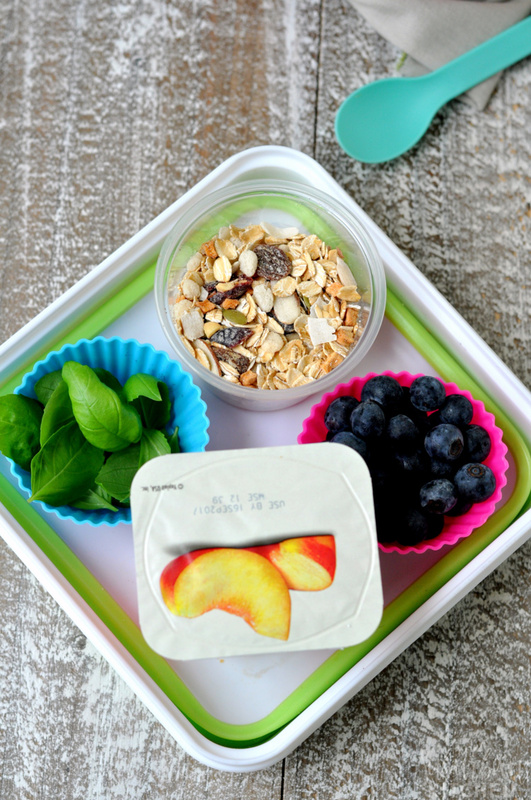 Option 2: Fruit & Yogurt – Combine peach Yoplait yogurt with blueberries, muesli and fresh basil. My kids love both of these snacks and ask for them all the time. I even take them to gymnastics with me since we are often there through dinner time and I don’t always have time to fix dinner before we leave. The best part is, when I am buying the Yoplait to go in these snacks from Walmart, I know I am also helping our school through the Box Tops for Education program and their Box Tops for Education app! 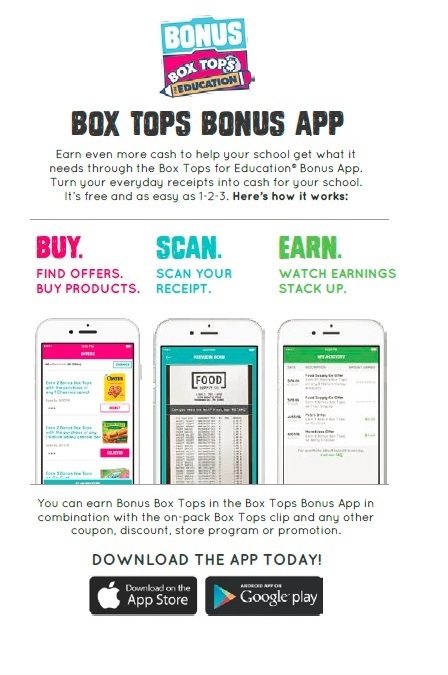 The app just makes it so easy to earn extra Box Tops for our school which they can turn into cash to help with better education for our students. Just buy, scan and earn! What are some of your favorite products that feature Box Tops for Education? Have you downloaded the Box Tops for Education app yet?